In the last 20 years, the landscape of Bangkok has changed drastically. This already immense metropolis continues to expand and the government continues to invest in the public infrastructure. In recent times, a series of new transit systems have been developed which has greatly improved the transportation system within Bangkok. As you can see this development is extensive and the planned construction is due to progress until 2024. The Blue Line is already well under development as is the Purple Line – these two networks have both been operational since 2004 and 2016 respectively. A vast amount of money and investment has been poured into this transit system and the Thai government has high hopes for this city-spanning system. The transit system will be composed of monorails and heavy rail lines and will be maintained by the Mass Rapid Transit Authority of Thailand once completed. Effects on The Bangkok property market? The new developments should make a big impact on the Thai property market. 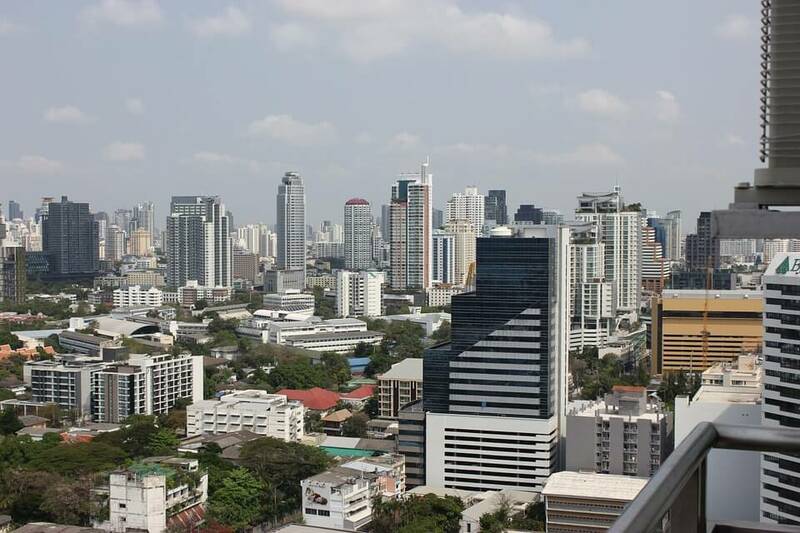 The Thai government hopes that the extensions into lesser developed areas of Bangkok should provide greater potential for new properties to be created. Furthermore, it should be perfect for commuters and provide new residential areas for both Thai citizens and foreign expats alike. Condo developments have always been popular in Bangkok and the new MRT should only look to improve the demand for this type of property. Condo developments are generally popular with both Thai citizens and expats alike and developers will be eager to populate areas alongside the new transit system lines with quality accommodation. Developers will have to take caution however as in some areas, the property market has become saturated with condos and some units has, therefore, remained unsold. Areas around the purple line, for example, have some developments that contain empty condos. As you can see from the above, the new proposed transit system is a huge undertaking and it will change the landscape of Bangkok. Due to this fact, we can safely assume that a myriad of new residential areas will flourish and appear. The orange, pink and yellow lines, in particular, will pass through a plethora of underdeveloped areas in the city centre that could be marketed as new areas for commuters or expats. We have already seen this change in some areas. For example, land prices in some areas along the new transit line developments have risen as much as 10% compared to the cities flat increase of 3%. Nana, Ari and Phrom Phong are just three locations that have witnessed a noticeable price increase. Furthermore, property prices themselves have increased in the last year alone by 11% in some areas. As the new transit system becomes a realisation, we should see further price increases as competition for prime real-estate space along the lines increases. The development of the transit system has seen a shift in property development. Thai nationals, for the most part, prefer to live in detached properties or townhouses and are veering away from condominiums. Furthermore, expats generally favour the reverse of this and love to live in condos. Property developers may have to change their approach and concentrate on one of these markets. As new residential areas are built surrounding the transit system lines, developers can either continue to invest in condo blocks or consider appealing to the Thai local market. From the above information, we can see that the Bangkok Mass Transit System is sure to have a profound affect on Thailand’s capital city. Not only will the landscape of Bangkok itself change, but the property market will evolve and we should hopefully see a new era of prosperity in which Thai citizens, expats and tourists can enjoy greater movement within the city and also a greater range of quality property developments to live and invest in. Expert pre and after-sales support for overseas property buyers in Thailand.